This small and handy knife fits into a pocket or a purse. 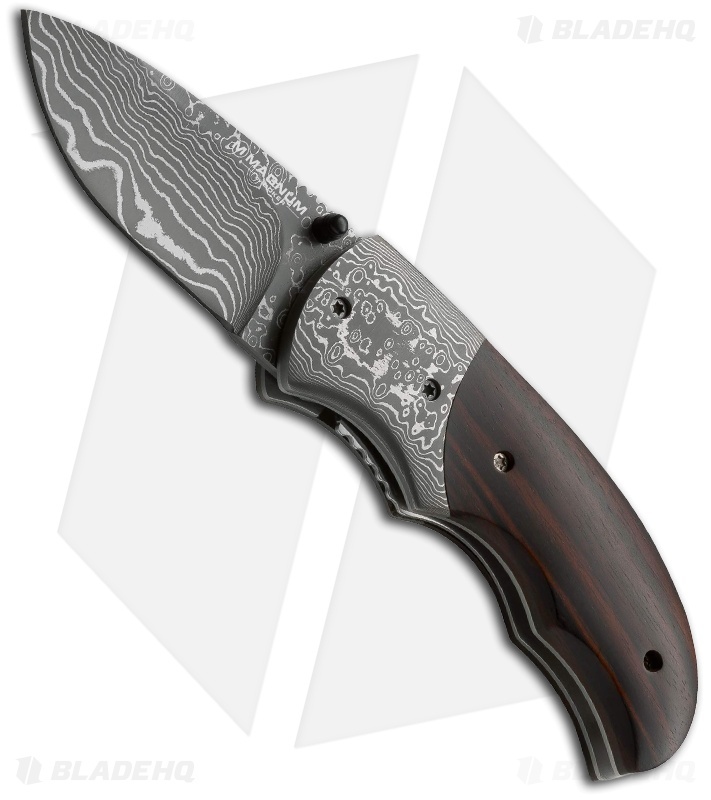 The Boker Magnum Damascus Stubby Folding Knife features a short and powerful blade made of 37 layers Damascus and is locked by a liner lock mechanism. 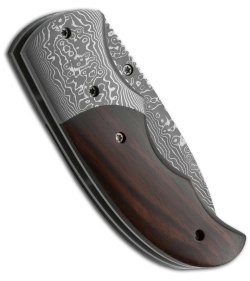 The fittings are also made of damascus. The handles scales are dark ebony, which gives a beautiful contrast to Damascus.